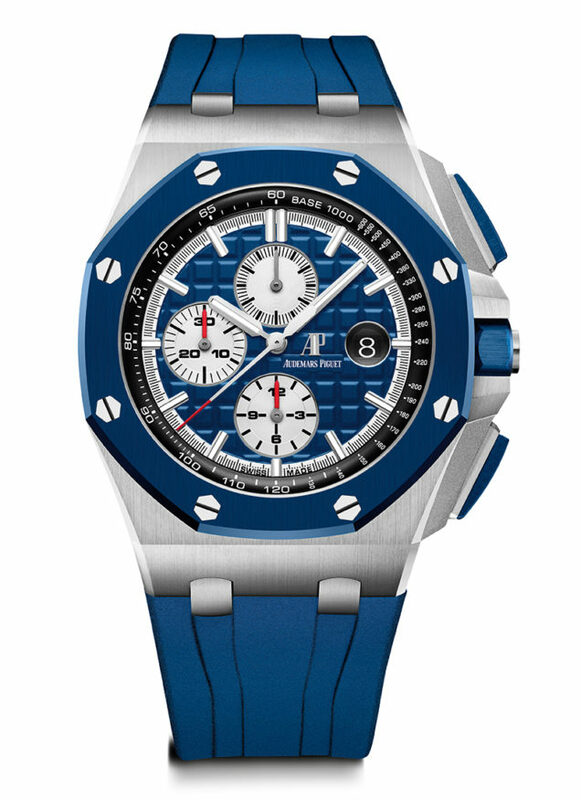 THREE new Royal Oak Offshore chronographs coming in as many colorways and two types of material have been announced by Audemars Piguet ahead of the watches’ official debut at the 2019 Salon International de la Haute Horlogerie, set to take place on January 14-17 at Palexpo in Geneva. 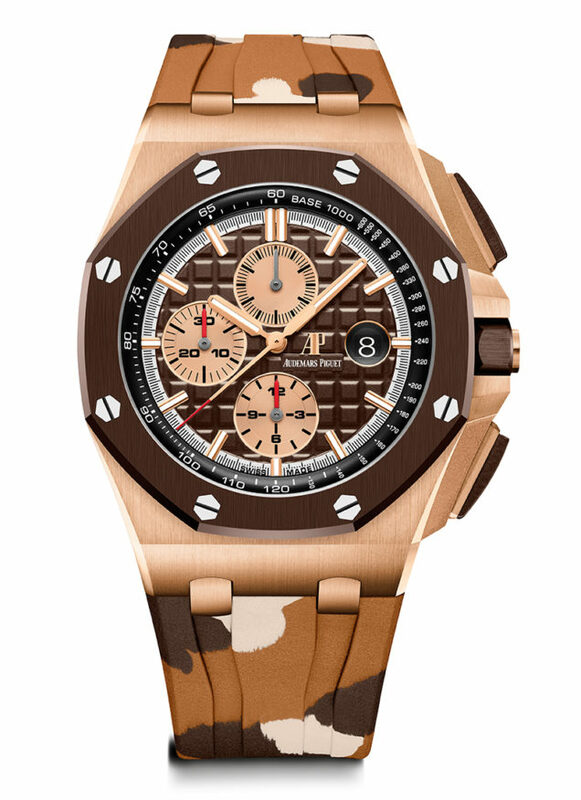 One of the defining visual cues shared among the new timepieces are rubber straps decorated with camouflage patterns. Also common in the three pieces are their 44-millimeter case sizes, chronograph movements and a slightly altered rendition of Royal Oak’s signature tapisserie dial. Leading off the new collection is the model housed in a pink gold case on which fitted is a ceramic bezel, pushers and crown — the use of ceramic signals a first for Audemars Piguet. The watch is also marked by a brown dial (matching the bezel), pink gold-tone chronograph registers, applied hour indices in gold, a black inner bezel and sapphire crystal covers front and back. Its strap pattern is a combination of tan, caramel and dark brown. The two other watches come in steel cases which are also combined with ceramic bezels, pushers and crowns. 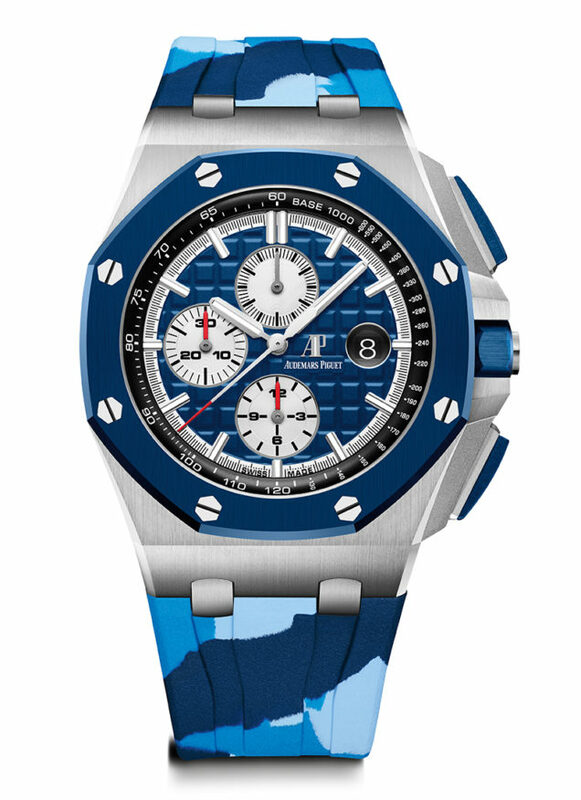 One of the watches has a bright blue dial matching the bezel, the other a green dial also set off by its bezel. These pieces both have rhodium-colored chronograph registers, applied gold hour indices and a black inner bezel. 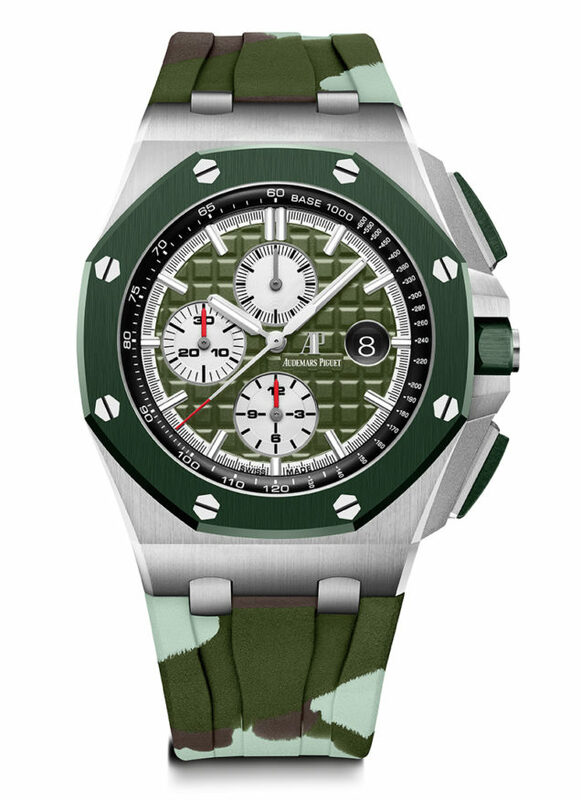 The blue model gets a strap with three shades of blue while the green watch appears to get by on a two-color camouflage pattern. 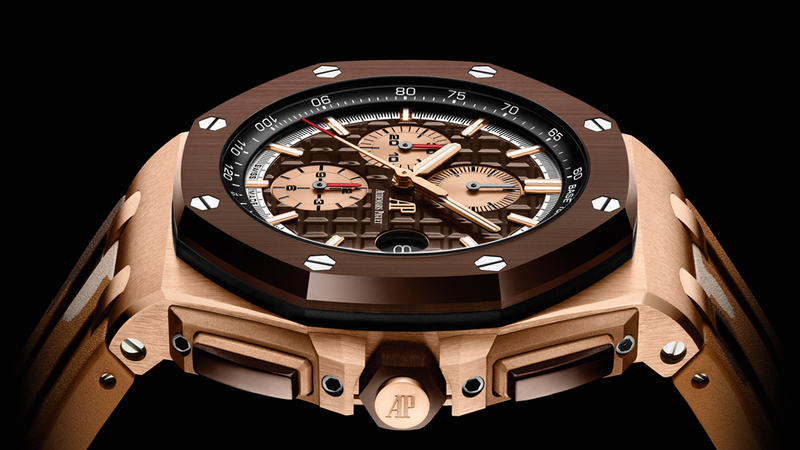 Audemars Piguet explains its use of ceramic is due to the material’s durability, noting it is harder than steel and is able to withstand high temperatures, thermal shock and scratches. 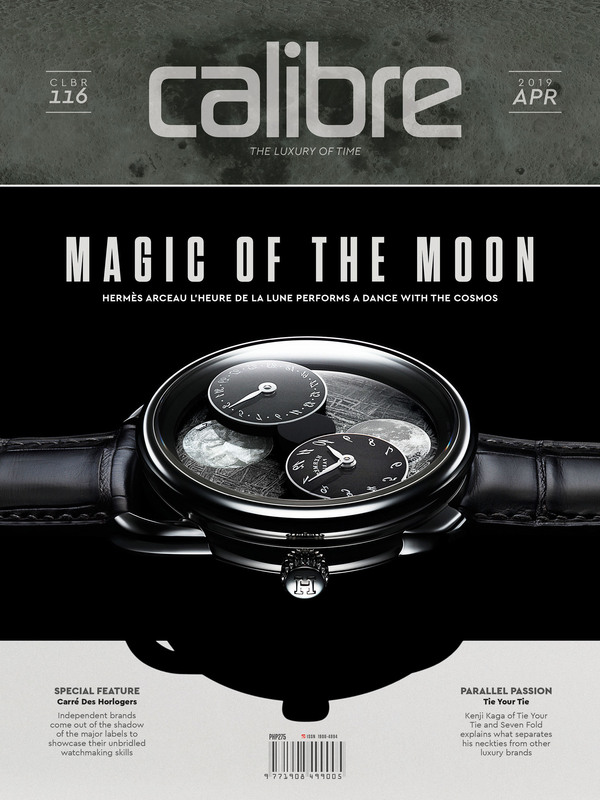 All three watches are ticked by Audemars Piguet’s self-winding cal. 3126/3840 that has been fitted with a chronograph module. This 59-jewel movement spins at 21,600vph and has a power reserve of 50 hours.